Ever so often, Singaporean Eddy Lee's three-year-old daughter will ask her father why they no longer have a car, or when they can next build a snowman. Their Toyota Matrix sports wagon and the snow were some things they had to give up when Mr Lee made a big decision to return to Singapore from Silicon Valley in the United States last August, uprooting his daughter and Singaporean homemaker wife in the process. He is at the vanguard of what the Government hopes will become a pool of citizens who will return to help the Republic realise its own dream of becoming a Smart Nation, after having made their mark in the world's No. 1 tech capital. Mr Lee, who has degrees in electrical and biomedical engineering from Nanyang Technological University and National University of Singapore, did a fellowship at Stanford. In Silicon Valley, he headed a fund that invested in global and South-east Asian start-ups. He was an early investor in property search portal 99.co - which Sequoia Capital and Facebook co- founder Eduardo Severin have also invested in - as well as a board member and early investor in online news site Tech in Asia, the first Singapore company to join prestigious US start-up fund Y Combinator. He thinks there are numerous opportunities yet to be tapped in South-east Asia for engineers returning to Singapore's shores. 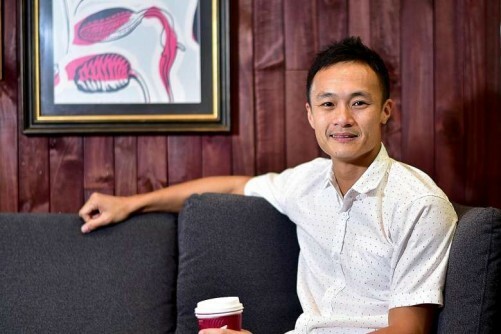 That is why, after 15 years away, he returned to set up Coffee Ventures in January, an early-stage investor in South-east Asian start-ups in sectors like health technology and big data. The company, which has a targeted capital of $15 million, has made one offer to a "highly sought-after start-up". Mr Lee, who has been a venture capitalist far longer than an engineer, said he traded his tinkering hat for a business suit as he was not satisfied with creating products that reached only a few end-users. His engineering background has been a great draw for the start-ups which also want his insights on technology trends. "I can get on the same side of the table as them, build the product and get it out to the customers with them," he says. While at Stanford, he created advanced magnetic resonance imaging technologies to track how stem cells migrate towards injury sites, sparking his interest in start-ups in medical technology. Silicon Valley has had a head start in the field, and it would not be easy to attract health technology experts to South-east Asia in the near future, he says. But he believes there are opportunities for firms that understand the region's culture and can tailor suitable products. He says, for instance, that people in Asia are less cagey than those in the US about sharing their health data. The region is also very active on social media. "I recently overheard three middle-aged women in a coffee shop openly comparing their cholesterol levels. If we had apps that could socialise medicine and wellness, it could be a beneficial service to many families here," he says. He says entrepreneurs should not be too fixated on hiring the right talent from the get-go. His advice is to come up with the product first, even if it is a rudimentary version. Then, find the least expensive way to test the product's popularity and raise money for it. But Mr Lee misses the Valley's open culture. That is why he set up xValley, to bring together South- east Asian returnees and Valley expats, and share the culture with their local community. They had their first gathering last month. "Folks who move out of the Valley often experience culture shock: People share less, are more protective of their ideas, are less willing to open doors for a fellow entrepreneur. I started xValley as a form of social support," he says. His concern for getting relationships right is one reason Indonesian Kevin Darmawan decided to work on Coffee Ventures with him after a chance meeting last September. Says Mr Darmawan: "When we discuss things, it's less on the technical and business side, and more about how we can engage with people and unlock their potential." Mr Lee, who began troubleshooting friends' computers when he was just eight years old, hopes Singaporeans will become more accepting of failure. He says it is crucial if the country wants to see more adventurous, creative engineers. "In the US, it's a badge of honour to fail. People see failure as an opportunity to learn, and not a black mark on your resume," he adds.